The red pin (below) is Limestone Bay. Zoom in on the Anguilla map for more detail. Limestone Bay has long been known as a secret, secluded oasis. Back in the day, whenever we would visit Limestone Bay's beautiful, unspoiled shores, we were always alone. We had the entire beach to ourselves without another person or building in sight! We would occasionally see a local Anguillian family peacefully fishing off the rocky shores that surround the smooth sandy beach. Location: Step directly out of the gated home onto the sandy shores of Limestone Bay. Description: This four bedroom villa is big on outdoor living space. It makes sense when you think of the location... Right on the beach! BBQs, a large pool area, outdoor seating, and each bedroom has a balcony. This villa is made to soak up the sun! Inside, each plush bedroom features luxurious linens and each bedroom has its own television. There is also a dedicated entertainment area (complete with XBox!). Cooking can be done inside in Sandcastle's fully equipped kitchen (state of the art appliances and granite counter tops). The style of villa is Mediterranean, embracing warm tones. More on Sandcastle Villa. Location: Right on the sands of Limestone Bay. 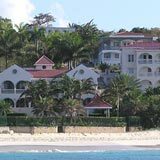 Description: Sister property to Sancastle Villa, The Beach House is one of the coolest villas to grace Anguilla's shores! It is directly on the sands of Limestone Bay, and included in the rental price is plenty of activities to enjoy the great outdoors. Think: Kayaks, paddleboards, fishing rods and even a dingy and Jeep Wrangler. Inside, the villa boasts a 2400 square foot great room with media area, luxurious kitchen and three plush bedrooms with ensuite. 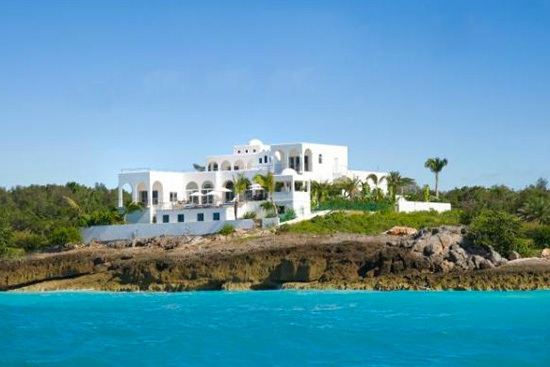 More on Sandcastle Villa: The Beach House. 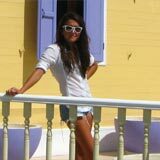 Description: Los Arcos Villa is huge. 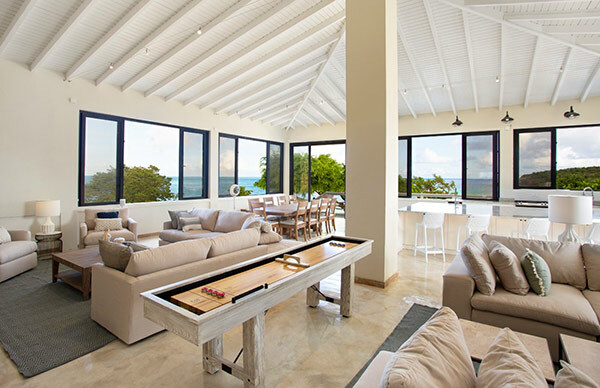 Inside and outside, you will live very comfortably and spaciously in this 6 bedroom luxury Anguilla villa. No expense has been spared on Los Arcos Villa. Inside you will find marble floors and stone columns, state of the art kitchen appliances and entertainment electronics. With a specatacular glass tiled pool, lush private gardens, and several separate deck areas, it feels more like a mini Anguilla resort than a private Anguilla villa!